View from Cadillac Mountain on Mount Desert Island within Acadia National Park, in direction of Bar Harbor and the islands in Frenchman Bay. Where in the United States is Maine? Location map of Maine in the US. 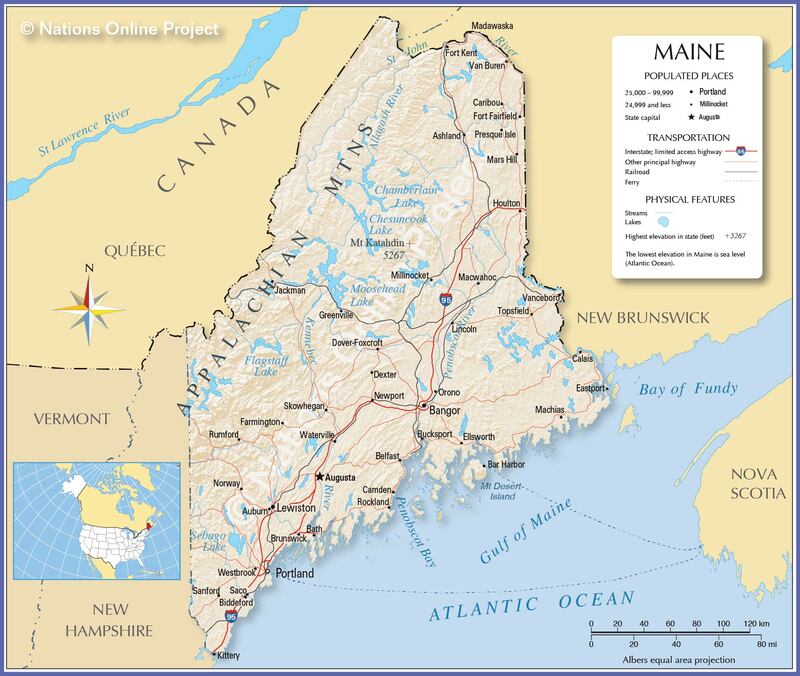 Maine is the easternmost US state, situated in the northeastern United States bordering Canada. It is also the northernmost of the six New England states. 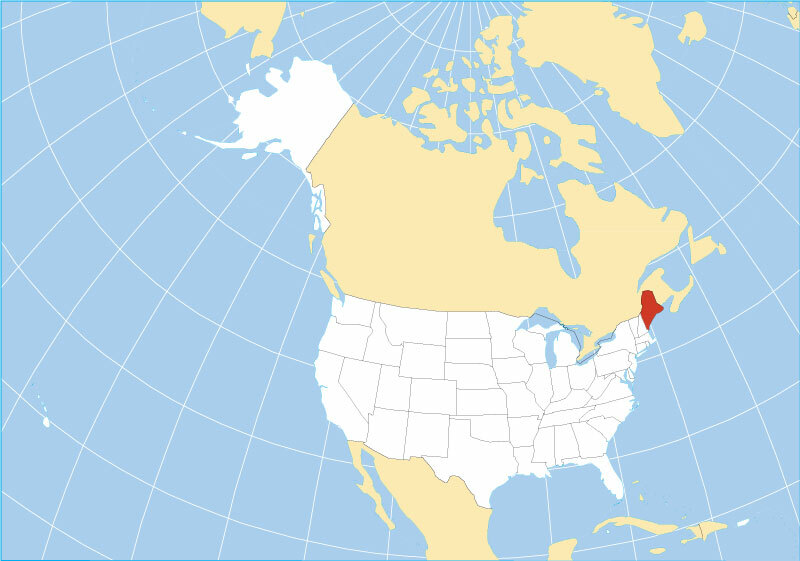 Maine is bordered by the Canadian provinces of Québec to the northwest and New Brunswick to the north and northeast. 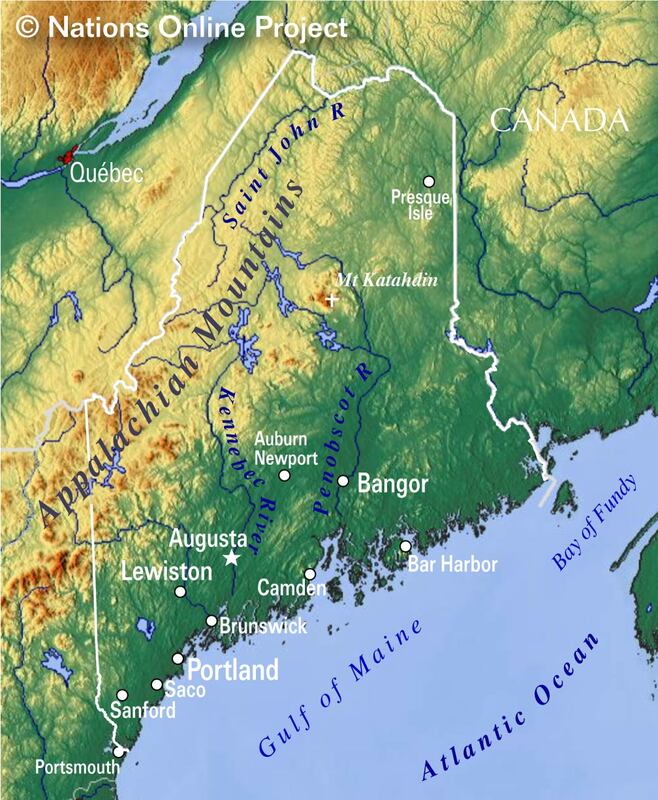 The state borders the Atlantic Ocean (Gulf of Maine) to the southeast and the US state of New Hampshire to the southwest. 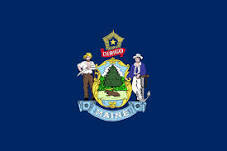 The state's nickname is "The Pine Tree State", the destination-marketing organization for the United States promotes Maine as "Vacationland". The region was visited by John Cabot (an Italian navigator under the commission of Henry VII of England) in 1498 and colonized by England in the 17th and 18th centuries. Maine occupies an area of 91,646 km² (35,385 sq mi) , compared it is about the size of Portugal. Compared in size with other US states, it is the largest of the six New England states, but it would fit more than seven times into Texas. Maine's landscape offers some unique geographical features: the state is number one in forestry in the US, about 83% of its territory is forested. West Quoddy Head is the easternmost point on the U.S. mainland. The northern section of the Appalachian Mountains, the eroded remains of an ancient mountain range of once alpine proportions, runs along the northwestern border of the state. Mount Katahdin, a cluster of mountains within Baxter State Park, a large wilderness area in Northeast Piscataquis county of Maine. In the disputed maritime border area is Old Sow whirlpool, the largest tidal whirlpool in the Western Hemisphere. Coastal Maine with its charming coastal towns, seaside drives, peninsulas, lighthouses, lakes and mountains, is a popular tourist destination. 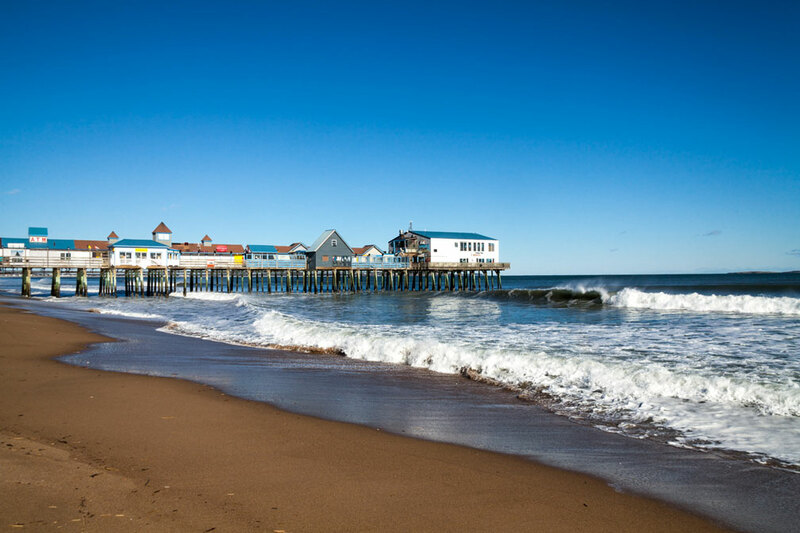 Old Orchard Beach, a popular summer beach destination with clam shacks and T-shirt shops. The pier at Old Orchard Beach, a popular summer beach destination in York County, about 20 km south west of Portland, Maine. Machias Seal Island and North Rock are two of Maine's 3,166 coastal islands, the sovereignty of both islands is disputed between Canada and the US, the area is referred to colloquially as the "Grey Zone". Mount Desert Island, largest island off the coast of Maine and home to the first national park east of the Mississippi, the Acadia National Park. The Acadia National Park protects more than half of Mount Desert Island, the remote Isle au Haut, parts of Baker Island, and a portion of the Schoodic Peninsula on the mainland. Other popular islands worthwhile a visit are Chebeague Island, the largest of the Casco Bay Islands; Squirrel Island is Maine’s oldest summer colony; genteel North Haven and neighboring Vinalhaven Island, Maine’s largest offshore island has one of the world’s largest lobster fishing fleets. 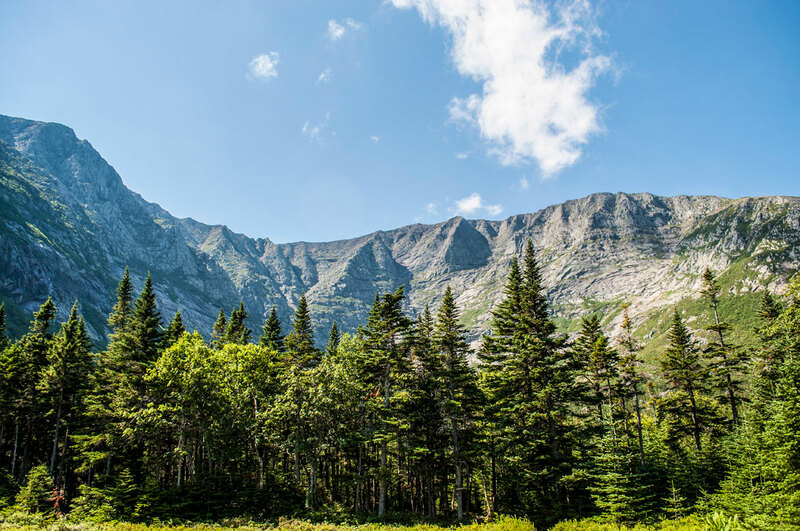 Maine is a lake-rich region, hundreds of lakes and ponds are decoratively distributed throughout the state, the largest are Moosehead Lake, Sebago Lake, and Chesuncook Lake. 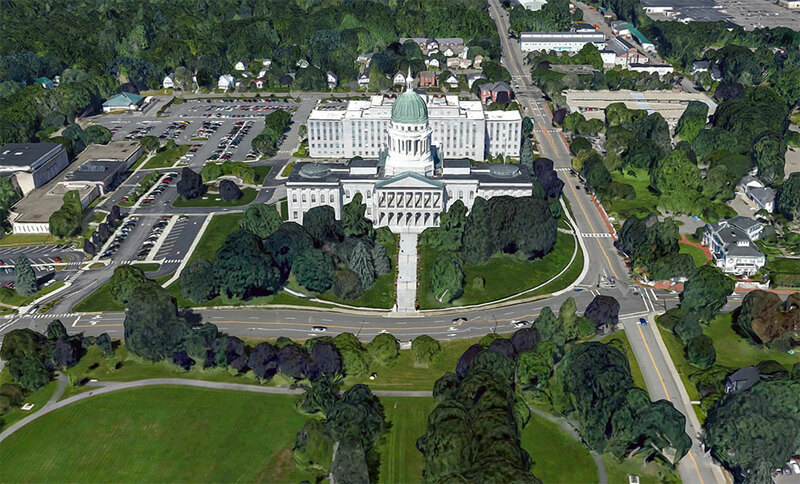 Rendered image of Maine State House in Augusta, the state capital of Maine since 1832. The Greek Revival building is home to the bicameral state legislature. Maine has a population of about 1.34 million people (est. 2018) , it is the most sparsely populated state east of the Mississippi. Capital city is Augusta, largest city and	economic capital is Portland (Maine), largest metropolitan area is Greater Portland (Portland-South Portland-Biddeford). Busiest airports in the state are Portland International Jetport (IATA code: PWM), and Bangor International Airport (IATA code: BGR). 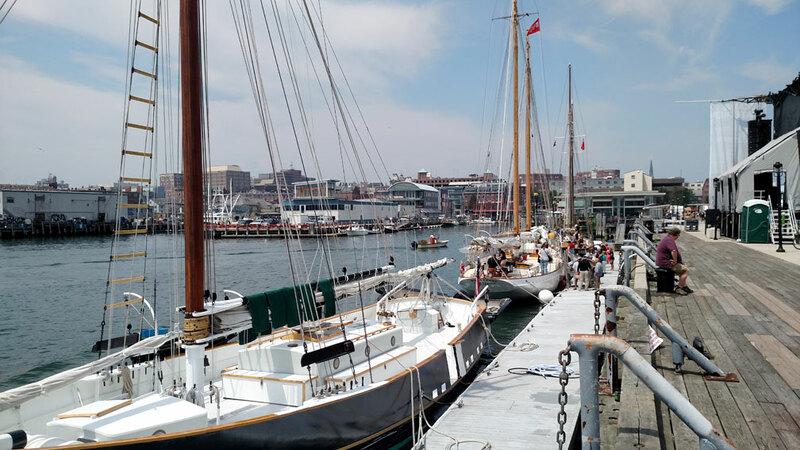 Sailboat charters docked at the pier of Portland, Maine. Ashland, Augusta, Bar Harbor, Bath, Belfast, Brunswick, Bucksport, Calais, Camden, Caribou, Dexter, Dover-Foxcroft, Eastport, Ellsworth, Farmington, Fort Fairfield, Fort Kent, Greenville, Houlton, Jackman, Kittery, Lincoln, Machias, Macwahoc, Madawaska, Mars Hill, Millinocket, Newport, Norway, Orono, Presque Isle, Rockland, Rumford, Saco, Skowhegan, Topsfield, Van Buren, Vanceboro, Waterville, and Westbrook. The detailed map below is showing the US state of Maine with boundaries, the location of the state capital Augusta, major cities and populated places, rivers and lakes, interstate highways, principal highways, and railroads.